4k00:23OREGON - CIRCA 2015 - An aerial shot of cars on a highway crossing a lake or reservoir. 4k00:21Wide landscape shot with highway under camera 4K. Flying over crowded highway on a viaduct traveling from forest. Located in Slovenia, Crni Kal. 4k00:17An aerial shot of a train coming from Warsawa. 4k00:13People walking on old railroad bridge with a beautiful landscape. Waterford Greenway. 4k00:09Aerial view of woman running across the bridge with a beautiful green landscape. 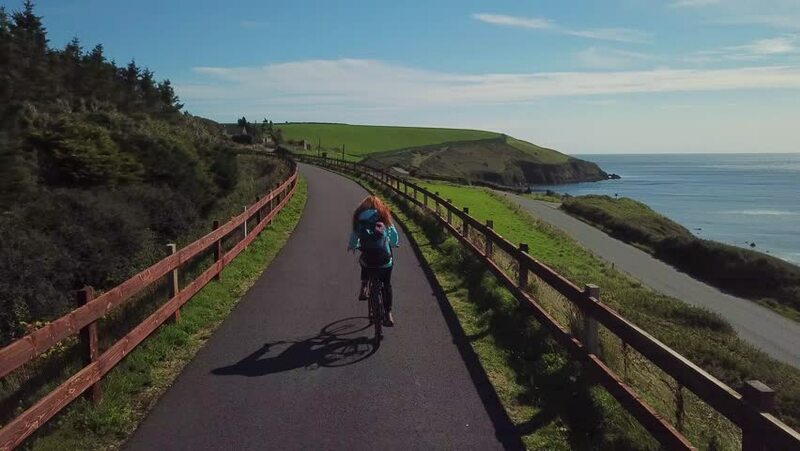 Waterford Greenway, Ireland. 4k00:22Epic aerial 4k shot of couple in yelow jackets hiking in mountains in dark cloudy weather. Ireland, Wicklow mountains. 4k00:17young couple kayaking in sea near the Dalkey Island in Dublin, Ireland.